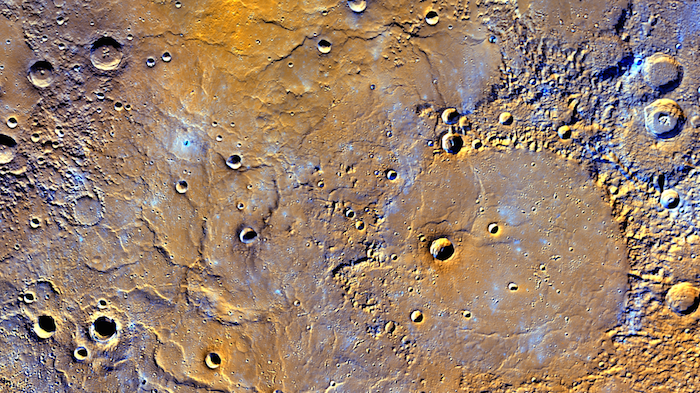 A view of Mercury’s northern volcanic plains in enhanced color. Want to take a hike on Mercury? On Friday — about one year after the Messenger spacecraft ended its mission by crashing into Mercury — scientists released the first complete global elevation map produced by the long-lived spacecraft. The new map, which looks somewhat like a map a hiker would use, shows the highest and lowest points on the planet, with its highest point coming in at 4.48 kilometers above the average elevation on the planet, the Johns Hopkins University Applied Physics Laboratory (APL), said in a statement. The planet's lowest point is 5.38 km below the average in the Rachmaninoff basin. In all, it took more than 100,000 images collected by Messenger to create the map, the APL said. In total, however, Messenger beamed back about 300,000 images of Mercury in its time circling the planet closest to the sun. “The wealth of these data ... has already enabled and will continue to enable exciting scientific discoveries about Mercury for decades to come,” Susan Ensor, a software engineer at the APL said in the statement. 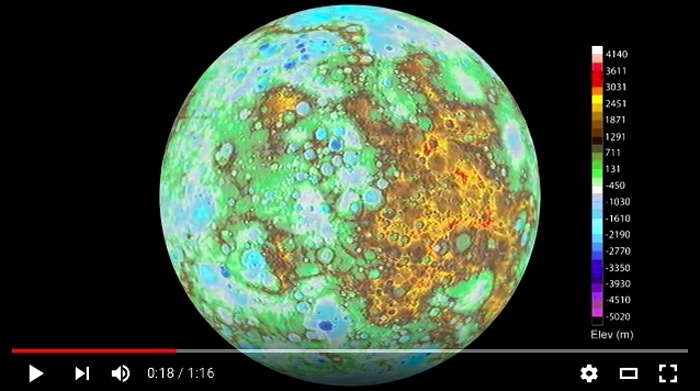 Scientists also produced a map of a part of Mercury near the north pole as never seen before. Messenger "had previously discovered that past volcanic activity buried this portion of the planet beneath extensive lavas, more than a mile deep in some areas and covering a vast area equivalent to approximately 60% of the continental United States,” said APL’s Nancy Chabo. 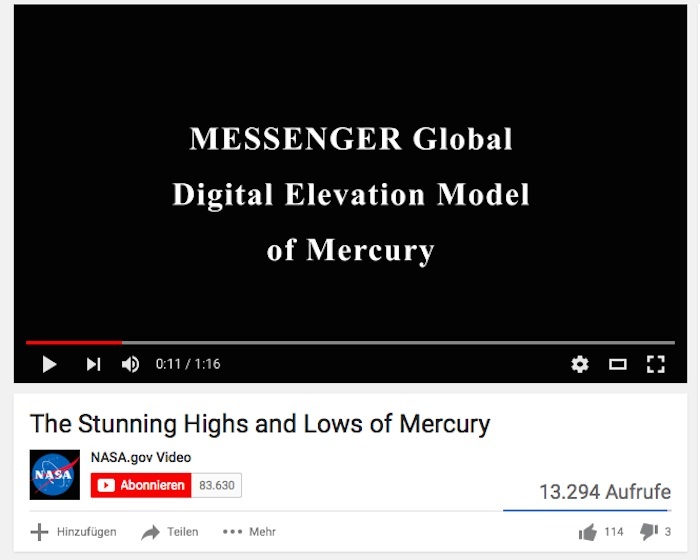 Messenger (which is of course an acronym short for MErcury Surface, Space ENvironment, GEochemistry and Ranging) launched toward Mercury in 2004 and began orbiting the planet in 2011. Scientists using Messenger data already created the first full map of Mercury, which showed never-before-seen features on the small planet like volcanic vents around the Caloris basin, the world's magnetic field and a giant iron core.